“The mob at the Yerba Buena Center for the Arts was so thick Thursday night that a beleaguered security staffer had to fend off visitors hell-bent on overpopulating the main downstairs gallery. 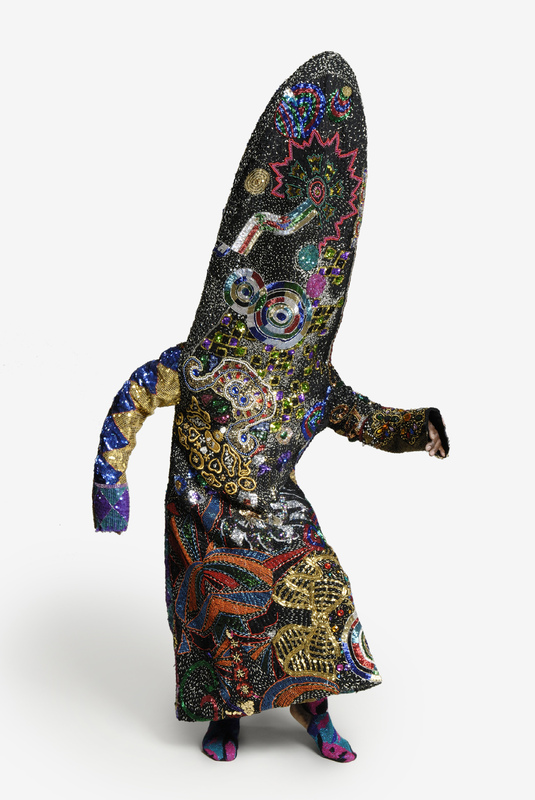 In the center of the room stood 40 of the Chicago artist Nick Cave’s Soundsuits – wearable sculptures made of everything from knit-together potholders to Day-Glo-dyed human hair. Suddenly snaking through the throng came 10 dancers, hip-jutting and strutting in masks and clown wigs, the swaying of their neon grass coverings making a sibilant rustle. This, we’re told, is how Cave designed his work to be fully experienced. 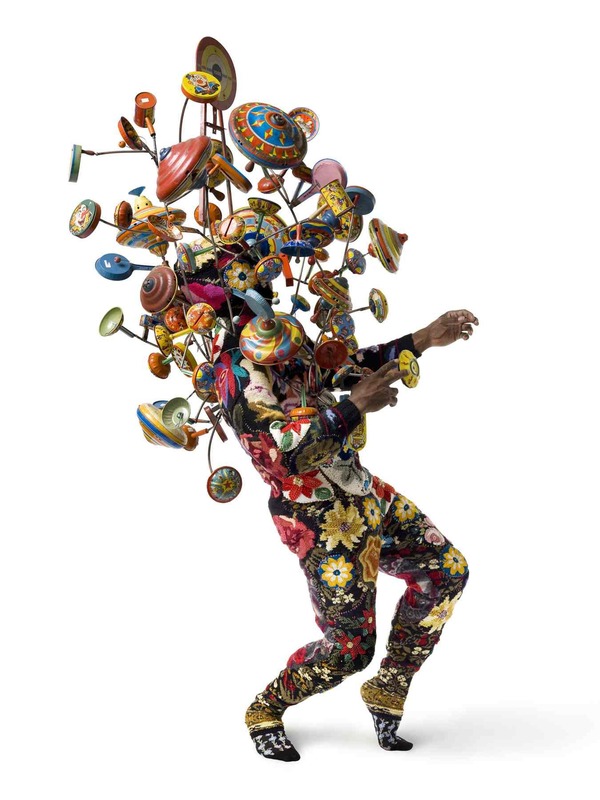 But though the exhibition “Nick Cave: Meet Me at the Center of the Earth” includes video of Cave dancing in some of his more stunning creations, it took YBCA Executive Director Kenneth Foster and performing arts curator Angela Mattox to pair Cave with a choreographer. They tapped New York dancemaker Ronald K. Brown, an inspired pick. Cave’s towering, often headless costumes evoke shamanic ritual as much as haute couture, bushmen and Bob Mackie, while Brown’s movement style blends modern dance with African forms. Still, these performance installations, repeating through the weekend, aren’t quite the climax one might have expected. This Soundsuit is made of stitched-together potholders and a metal cage of toy tops. This Soundsuit is covered in sequins. But also this photo by Michael Macor for the Chronicle is especially terrific.